"I refer to this film as Ten Little Indians meets Rules of the Game. Except for two American actors, it's an English film. The cast were on the set all the time, people like Alan Bates, who didn't have a thing to say in most scenes and was in the background. They were all paid the same thing. They accepted the deal or they didn't. They're used to acting in ensembles. Nobody wanted to misbehave. Even Maggie Smith, who has a funny reputation, was delighful. I can't imagine that of an American cast today. "A period piece like this usually is so proper, everyone talks so carefully, every shot is so precise. I went back to a style of twenty-five years ago of The Long Goodbye, in which I used cameras almost always in motion, moving arbitarily. Audiences are trained too much by television, where you can get a beer and come back and nothing has changed. I want an audience that's alert. The British accents? You don't have to understand all the words, unless you are one of those people sitting with a TV dinner who needs to know everything. "Bob Balaban came to me two-and-a-half years ago and asked if there was something we could develop together. I said, 'I've never done a who-done-it. People come to an English house for the weekend.' Some who watch the movie say, 'I knew from the beginning who did it. You didn't hide it very well.' I say,'If you figured it out, that's OK. I wasn't trying to make a mystery.' We're not going to sit around for 2 1/2 hours to discover the plot, I'm bored with plots. And I'm not interested that anyone pay for the crime. That's not what I care about. Less than 50% of murderers in the world are caught. What purpose would it serve?" "I haven't seen Rules of the Game for twenty years but it did inspire me [with the upstairs people and the below-stairs people.] Julian Fellowes, the screenwriter, is one of those upstairs people. His wife is a Lady-in-Waiting for the Countess of Kent. He was on the set all the time, tapping on my shoulder. As an American in England, I wanted it right. The social structure of below-stairs people is more complicated and structured that upstairs people, who don't know any different than their behavior. The maid will be in the room, and they pay no notice. It could be a dog." 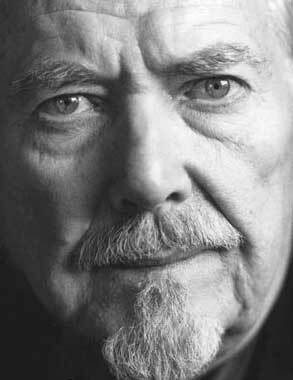 The next morning at his hotel, Altman was just as talkative and immensely affable, but maybe he'd OD'd on the tea-and-crumpets milieu of Gosford Park. For a time, we had coffee and talked sports, about the dismaying collapse of the Sox. Said Altman, "In August, I thought they're going to make it this year. I'm a Red Sox fan, and they are the only team I root for." But what about being a native of Kansas City? "I always thought the Royals were flat." OK, Gosford Park. I wondered if he had any special affection for the old-fashioned detective genre. "No, I just have to have a point of view, a reference. It's a classic situation: all suspects under one roof. I've never read Agatha Christie. Her Ten Little Indians? I don't think so. The Hardy Boys? I didn't read that kind of book. As a kid I read Spengler's Decline of the West. I saw Sherlock Holmes in the movies. I don't know if I could read it. But the genre has been copied, xeroxed, reprinted many ways. You dig out the information in your brain." His filmic research for the movie? "I watched the 1934 film, Charlie Chan in London, made for about $12, in which there isn't one shot of London but there's a country home with stables, a butler, a groom. We ran it, I didn't get anything out of it. Still, there's always the bumbling inspector like in Chan movies. I tried to set up a Charlie Chan parallel with Stephen Fry's Inspector Thompson." I mentioned that Thompson moves about like Monsieur Hulot, the comic creation of France's Jacques Tati. "You got it!" Altman responded happily. "You and Paul Thomas Anderson are the only ones. I just love Tati's works. They are subtle but broad. Broadly subtle." The name of the movie? "Julian's original title was The Other Side of the Tapestry. I thought that was awkward. He started looking through books and came up with Gosford Park. Nobody liked it, everyone fought me on it. But when you make a picture using a name, that's its name. It's not a gripping title. But then M*A*S*H* wasn't either."